I made this crossword as a post-listening activity for my son, after the Solar System song activity that I also uploaded. You can use it also on its own, links for the song are included. It is a very easy crossword. This is THE FIRST VERSION, after finishing it I made another one and I couldn´t decide between them, so I uploaded both :) The only difference is in the layout. You can use the one you like, or even both with more kids. I hope you like it! 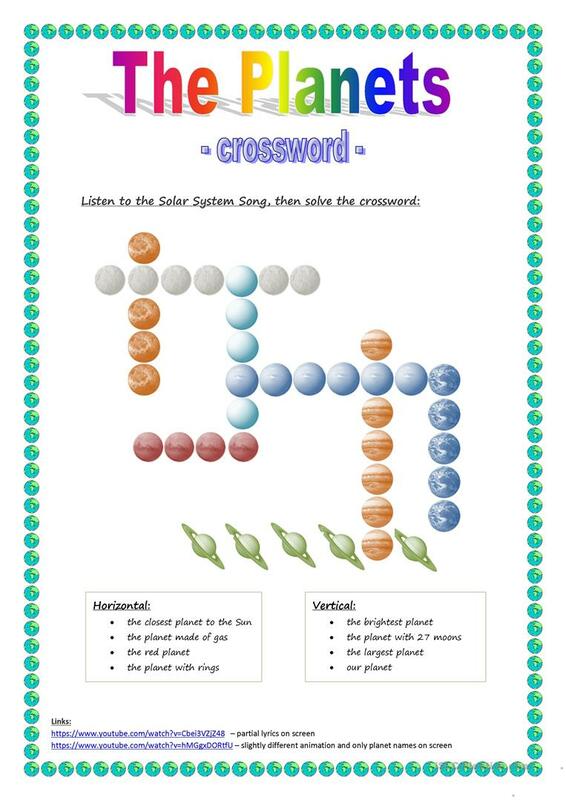 The present printable, downloadable handout is recommended for elementary school students and kindergartners and nursery school students at Beginner (pre-A1) and Elementary (A1) level. It can be used for developing your groups' Spelling skills.